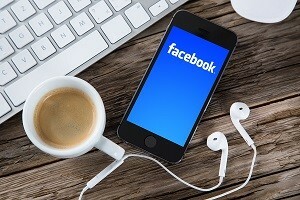 Should Marketers Ditch YouTube for Facebook? I can’t check my favorite news sources anymore without being subjected to yet another clever and innovative way Facebook is making advances into the online video space, a domain over which we always assumed YouTube would hold sway. Every few days, there’s a new announcement from Team Zuckerberg indicating Facebook is making serious advancements towards some unstated goal of making video, from whatever wellspring, a seamless component of the social media experience. This month, we’ve seen reports that Facebook will finally share ad revenue with video content creators (a tactic YouTube’s been employing successfully for years), that Facebook is experimenting with a detachable video player that lets users liberate embedded videos from their timelines and position anywhere on their screen, and that Facebook is secretly working on a music video streaming service that’s going to be a Spotify app killer. That’s a lot of development in a short time—and they’re significant initiatives that we marketers need to take note of. YouTube has taken notice, too. YouTube CEO, Susan Wojcicki, played it cool, calm and collected when she engaged in an on-stage Q&A session at Fortune’s recent Brainstorm Tech conference. Claiming video views on YouTube are “different,” she argued that the online video space is so enormous and so quickly growing that there’s room enough for all comers. Competitors like Facebook, Wojcicki mused, were only doing what any smart business would do in trying to claim a piece of the pie. It didn’t bother YouTube. The company is secure, she affirmed, in its ability to focus on what it needs to get done and ensure its position as the market’s top player. Normally, I would agree with her. It’s no secret that the online video market is gigantic and there’s plenty of room for any business to carve out a profit providing niche. But after seeing Facebook’s recent set of moves, I’m not so sure it’s going to be content with limiting itself to that kind of restricted position. From the evidence recently paraded before us, Facebook has its sights on being a much larger presence. With now 4 billion video views per day, Facebook has captured the interest of users as a viable portal for watching clips. And now that it has proved that viability, it’s in a lot better position to use it. How? Through accomplishments it has made elsewhere on its platform. Here are a few. Facebook has a much better mobile viewing experience, and recent statistics indicate more users are accessing video content through their mobile devices on Facebook than they are on YouTube. Facebook users are exposed to video on the go, but YouTube browsers apparently wait to consciously sit down at work, school or home, and carve out a time to do their viewing. Facebook has the advantage here. Viewer engagement numbers are also higher on Facebook. There’s significantly more sharing, liking, and commenting going on between users of the social media platform than there is on YouTube. The YouTube videos Facebook users are embedding in their timelines are racking up more views than the same videos content is over on YouTube itself. In fact, embedded News Feed videos secure a 40 to 50% higher engagement rate than “suggested videos” do in the right column of the YouTube screen display. This equates to Facebook having much more potential reach. A recent survey by Adobe reveals that the ads Facebook selectively promotes to its users are of more “genuine interest” because of Facebook’s wealth of user data and on-target algorithms. Only 17% of surveyed users could say the same about YouTube ad displays. No wonder that advertisers like HBO and Amazon have started to upload their video promotions directly to Facebook. It’s just a better buy. Expect to see this trend catch on in the near future, as marketers start abandoning YouTube as an unnecessary, and increasingly ineffective, middle man when the goal is getting your message seen by the qualified consumers. Is it time for marketers to jump ship and leave YouTube? No, it’s a bit early for that. We’re explaining to our clients that both platforms offer unique marketing advantages (for now) and to use the power of both. What we’re seeing, though, is many people still equating YouTube with video content exclusively. Unaware of the improvements at Facebook, they never consider that their video content could also find a home on the social media giant’s pages—and that’s a bad habit we need to change. If Facebook keeps up with this astounding rate of innovation in the video space, marketers and their clients will have no choice but to change how they view Facebook, and start including it as an integral component of their video marketing strategy.